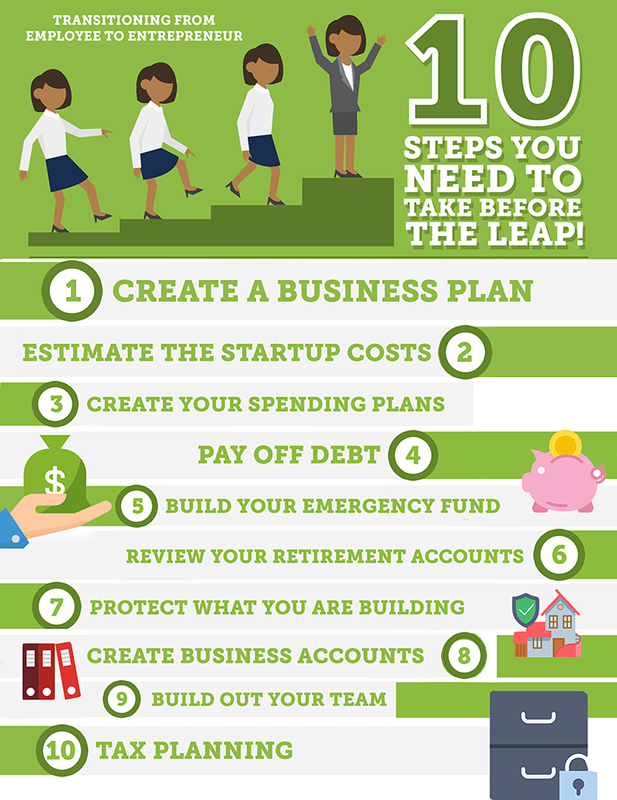 Consider these 10 steps before making the big-boy move to the world of entrepreneurship. Before leaving your current employer to start your entrepreneurship adventure, look at your retirement account and see if you are fully vested. Any money you have contributed is yours; your company match may or may not come with you, depending on your length of service at your job. One of the most important things you can do is think about building out a team of personal and professional support, such as close mentors or friends, a certified financial planner and a tax professional. This will help lift you out of the dark days, and set you on the right track to success.